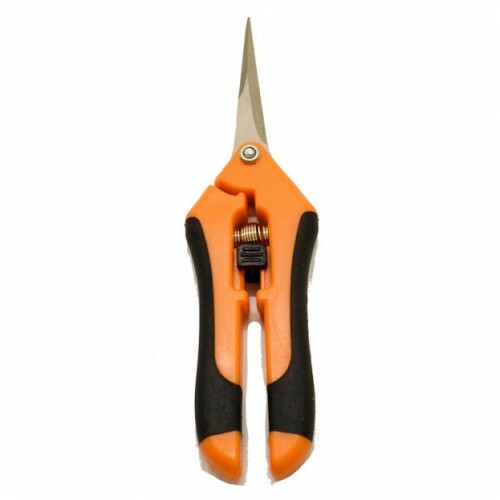 These Smart Gro 5” Blade Trimming Scissors feature soft grip, slightly sprung open handles for comfort and ease of use. The super sharp blades are perfect for cutting a range of plant materials from leaves to branches. Jaw lock feature ensures safety when not in use.